It’s always great to find a recipe primed for adaptation. 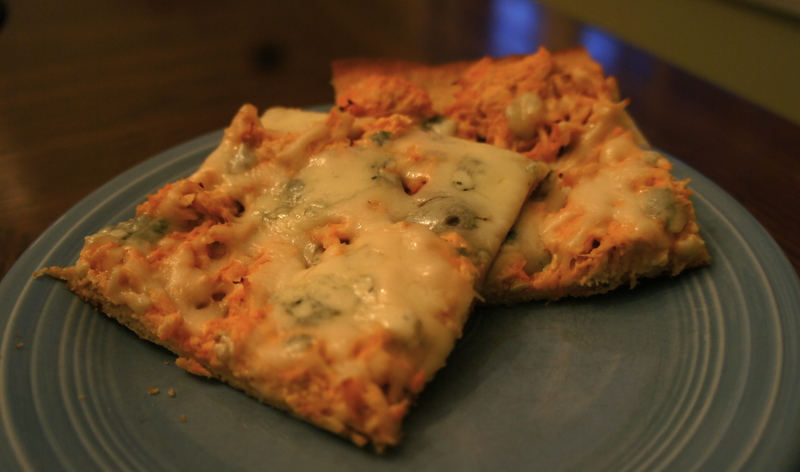 Last week, I made one of my favorites: BBQ Chicken Pizza. When I went to put away the leftovers, I glanced at the buffalo sauce in the refrigerator door and then back to the pizza. A light bulb went off. 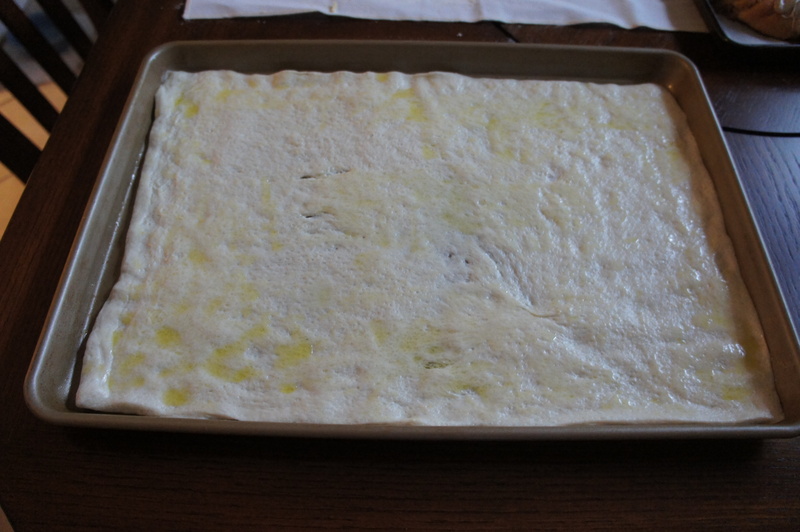 This time around, I took the easy route and purchased the already-in-sheet-form Pillsbury refrigerated pizza crust. To be honest, I enjoyed the crust even more than the grocery store dough. It was less chewy. Combine chicken, sour cream, and buffalo sauce in medium bowl. Taste for spice level. Add more buffalo sauce if you like more heat. Brush 1 tablespoon oil all over rimmed baking sheet. Press dough with hands to fit baking sheet. Brush dough with remaining oil. Bake until dough begins to brown and bubble, about 6 minutes. 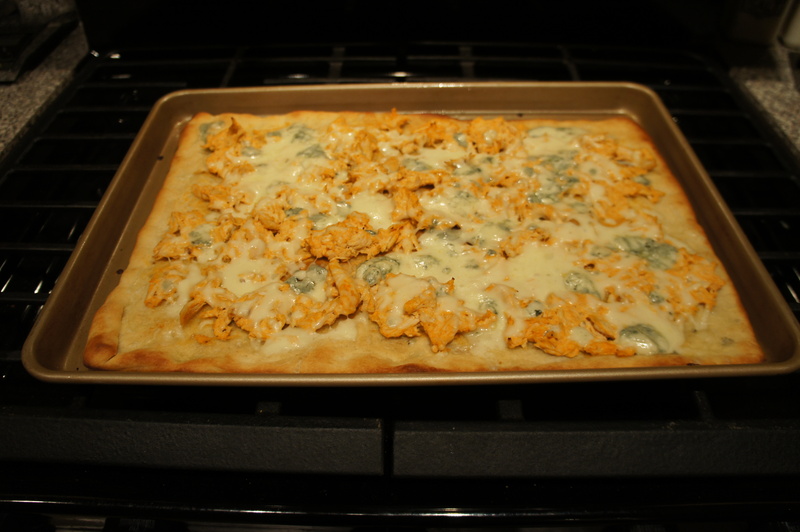 Scatter chicken mixture over dough. 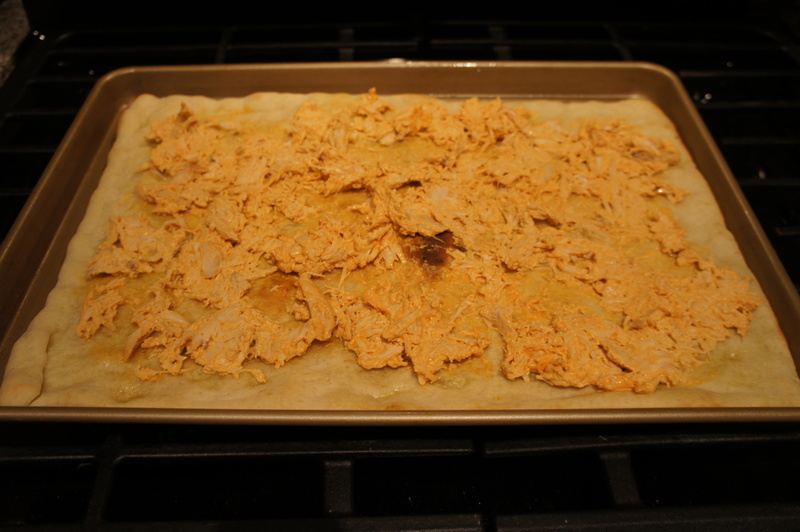 Bake until dough begins to brown further, 5 minutes. Sprinkle cheese over pizza and bake until melted, about 3-5 minutes. Transfer to cutting board. Cut and serve with more buffalo sauce or ranch dressing.